Online sports betting is one of the great ways for gamblers and sports fans to safely place bets and enjoy great returns. With sportsbooks, bettors will find great odds and will have the ability to be on just about every sporting event around the globe. When it comes to betting for US punters, there are some legal concerns that should be understood. This is a huge market and there are hundreds of sites that will offer the ability to place bets on various events. 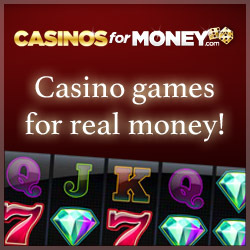 However, not all will accept real money bettors located in the United States. There are some laws and restrictions that are in place and it is essential to become aware of these before choosing any online betting site and making any real money transaction. While there are a number of options available to US bettors, it can be a difficult task to fund accounts due to US laws pertaining to online gambling. Even with restrictions in place, American bettors have a plethora of sites that will offer betting services as well as usable payment methods, all in a safe and secure environment. Is Sports Betting Legal for US Bettors? Sports betting online is considered to be illegal in the United States but few have ever been charged with any crime. Many states in the country have anti-online gambling and betting laws. The main issue for US bettors is the Unlawful Internet Gambling Enforcement Act, which was put into effect in 2006. This does not state that online sports betting is illegal, but it does restrict how bettors can fund an account at an online sportsbook. The laws pertaining to sports betting are similar to those regarding gambling with an illegal bookie locally. However, the bettor will not be the one to face any charges. It will be the bookmaker that will be taking the brunt of the punishment. Due to the strict laws about online gambling, there are very few sites right in the US that will support sports bets. With some recent legal changes, some states do allow betting online, but the bettor must reside in the state where the site is being operated. This can still restrict thousands of US gamblers, so many will turn to off shore sites that offer betting services. Off shore gambling is not illegal for US residents, but again, it will be hard to fund an account. Bettors will not have the ability to use credit or debit cards and are also restricted from some eWallet services like Neteller and Skrill. However, there are other options, such as prepaid cards. After some research, US bettors will find methods that can allow for secure deposits as well as the withdrawal of winnings that are generated from the bets that have been placed. There are literally hundreds of sites operating that support sports betting and as a US bettor, it is important op take a close look at each site before registering. Some of the considerations include financial status of the site, ease of placing wagers, deposit and withdrawal methods supported, betting options and various bonus programs and incentives. Sportsbooks, like online casinos, should be licensed and regulated and offer legal services. The financial status of the site is one of the most important things to consider. This refers to the ability of the sportsbook to pay winners. Try to select a site that has a long history in the industry and is reputable. Many sports bettors have common interests, so consulting forums and site reviews will also be beneficial. Here, one can learn the details of the site and can also learn of personal experiences from other punters. Selected sportsbooks should also offer different incentives as a way to keep bettors coming back. There should not only be a welcome bonus for new bettors, but many ongoing promotions that can add money to the account. Bonuses and promotions are a huge draw for bettors, so sites will often compete by trying to offer the best paying bonus. It will also be important to take a look at the range of sports and bet types that are available. Some bettors will prefer specific sports or events and it will be essential for the selected site to support these bets. Betting limits will also play a factor for those that frequent sites and place large bets. Be sure to do some research to find out as much as possible before just jumping in. Not every site is the same and not every sportsbook is legitimate. The sportsbooks should also offer privacy and should never share any bettor information with a third party. Most sportsbooks will also have an age verification system to ensure that all registering members are of legal gambling age. If there are further questions regarding the security of information or the overall safety of the site, it is possible to get additional details from the customer support team at the selected sportsbook. These representatives should be highly trained and able to answer any questions pertaining to placing bets and the safety of doing so. If the support team cannot answer these questions, one can request the assistance from the site manager or they can simply choose another site that is known for fair betting, honest service and great protection for those with real money accounts. Sports betting should be a positive experience and bettors from the US need to know they are betting at a site that is operating legally, securely and ethically.